LG has announced two new smartphones at IFA 2018 in the form of the G7 One and G7 Fit. The G7 One is the most exciting of the two, offering quality hardware, decent design, and a stunning display, though the G7 Fit is the most premium-looking device. The G7 One is the first device to run on the Android One software rather than Android with the LG skin, but making it rather convincing. Here are our first impressions. 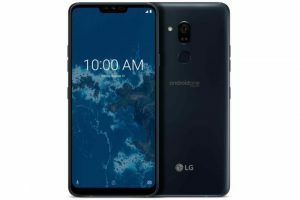 The LG G7 One has exactly the same dimensions as the standard G7. It has the same 6.1-inch screen and the same hardware features in terms of the headphone jack and DAC converter, BoomBox speaker system, 3000 mAh battery, IP68 resistor, fingerprint sensor, and buttons. 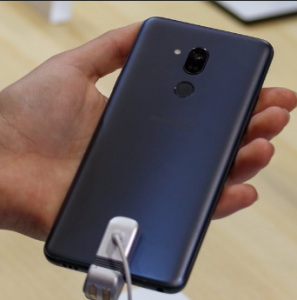 But the changes are about the details: the metal frame has a slightly textured matte finish, much like the Galaxy Note 9, and the glass back is frosted for a soft texture. It’s a chic and understated look, which is decidedly different from the ordinary G7. It feels good too, but we have definitely lost all of LG’s assets that have allowed the G7 to stand out a bit from the crowd. 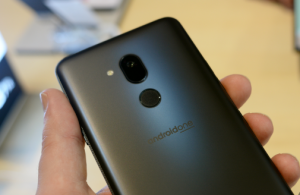 The LG G7 One has a design almost identical to that of the LG G7 ThinQ, but leaves the plastic rear window and replaces the rear dual camera with a single lens. A small chin appears on the front of the device. At the back, a circular fingerprint sensor and the Android One logo in the center. It’s a good size camera, measuring 153.2 x 71.9 x 7.9mm, which makes it easy to handle with one hand and despite the plastic back, the design of the G7 One is nice. It’s not as natural as high-quality glass, but you get a slim device with premium design features, including IP68 water and dust resistance. The screen of the LG G7 One is one of its most outstanding features. There is a 6.1-inch FullVision front panel, offering a Quad HD + resolution that gives a pixel density of 564ppi. This is an LCD display with brightness up to 1000 nits. According to our first impressions, it seems to offer good viewing angles with vivid and striking colors. Like the G7, the G7 One has an image size of 19.5: 9, which allows a large display but in a small footprint. The notched design may not suit everyone, but it’s a pretty small notch, so it’s not too offensive. The G7 One drops the G7 ThinQ’s rear-facing dual cameras, opting instead for a unique 16-megapixel sensor with f/1.6 aperture lens and optical image stabilization. At least on paper, the device looks promising thanks to the bright aperture f/1.6 of its lens. LG has also included pixel binning technology designed to optimize the light collection capabilities of the main camera in less than ideal lighting conditions. On the front, you’ll find an 8-megapixel snapper with a f/1.9 aperture and an 80-degree field of view. We did not have the chance to test the camera during our short stay with the G7 One, but since LG usually offers decent results, we hope the G7 One will do the same. 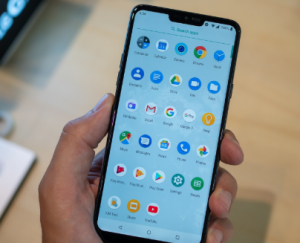 You’ll also find Google Lens on the G7 One, a feature widely available on Android phones. It uses AI to extract information from an image. For example, you can point your device to a specific building that you might want to know more about and it will tell you what information is about it. 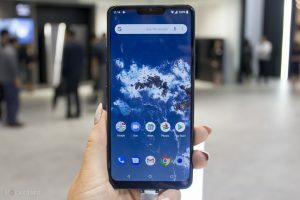 In addition, the G7 One features the company’s Boombox loudspeaker, which uses the phone’s internal space as a resonance chamber to produce more bass. For security reasons, the LG G7 One also supports face recognition and fingerprint scanning. The software is particularly interesting because it is the first time that LG uses Google’s Android One. This means that there is no custom LG interface. It’s Android without adaptation and without bloatware. Only the camera app comes from LG. Too bad that LG does not use the dual camera with a wide-angle lens but instead uses a single camera. On the software side, the LG G7 One comes with Android 8.1 in its purest form. All classic Google apps are integrated with Google Lens. LG also wants to know if pure Android can be a selling point. The quick availability of LG updates is another benefit because Google provides updates to Android One smartphones within three months. In terms of performance, LG relies on last year’s Snapdragon 835 processor, which is fast enough for everything. So it’s not a bad choice on their part. We did not notice any performance issues in our labs. 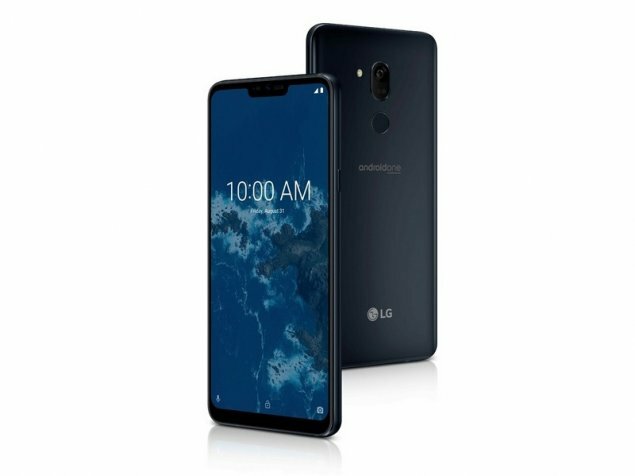 Overall, this is a breath of fresh air compared not only to other LG devices but also to devices with which the G7 One will compete from its price range. LG’s usual UX skin is not cruel, and the device is fast, responsive and easy to use. The missing piece in the puzzle – and probably the determining factor in whether the G7 One sees a recovery in Canada – is the price. LG has not shared this information yet. I imagine that if it is included in the price of OnePlus 6 and operators offer $0 on their subscriptions smaller, many Canadian consumers will be interested in this smartphone.